I heard a story decades ago. It was sort of a parable. Evidently a king long ago asked the wisest man in his kingdom to write down all human knowledge. The wise man went away and five years later returned with a book of knowledge. The wise man thought it was impossible but went away for another five years to try. After five years he returned with a single folded not. The king took the note and opened it. On it was one word. “Survival”. When you distill life down to the basics, life, civilisations, groups and society are all about surviving. Everything else is secondary if we don’t survive, there is no point. How is this relevant to today? Look at politics. 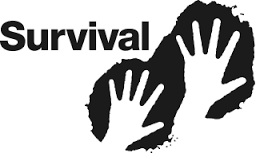 The basic driver for any politician or party is survival. Do whatever it takes to survive. Everything else is irrelevant unless you survive in power. Good and bad, left or right, short term or long term only have a place if they help you survive. To survive you need to make friends. Allies. There is more chance of survival if you have people around who will help you. This is the nexus of forming political parties. Gather people together who will fight together to survive. The easiest way is to get like minded people around you and form a party. Sometimes the boundaries of “like minded” can be stretched. The Liberal party calls themselves a “broad church”. Leaving the religious connotations aside, “broad” seems to cover the spectrum of radical right to center left. A few years ago I spent a couple of hours talking with our local state member – John Sidoti. At the end, I said I had one big problem with him. His ideology put him in the wrong party. He should have been in the Labor party, not the Liberals. It is indeed a “broad church”. Another example is Malcolm Turnbull. When he was considering entering politics, both parties were courting him. If you look at what he has said over the years, and what he says now, which party do you think he should have been leader of? Imagine how the political landscape in Australia would be today if Turnbull was a Labor politician? Would he be PM? Would he even be party leader? If he was leader, would Labor be in power with an Abbott led opposition. Sliding doors. If you make friends to survive, evolution says you will form a party. A tribe. But you need to form alliances outside the political tent. Imagine this. With political survival in mind, you have to make a decision. You are only allowed one a day but you have two on your desk. One is from an unemployed person asking for help to find a place to live. The other is from a development company asking for help to get a development approval. So which would you choose if the goal is survival? The unemployed person will move into a house and then forget you. Maybe the party will get a handful of votes but they may be in another electorate. The developer could be really useful in terms of supporting fundraising efforts, and directing support to your preselection. 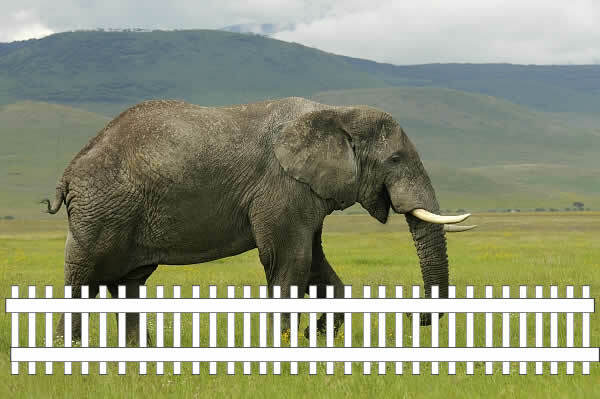 We all know it is illegal for developers to fund politicians but that is like trying to cage an elephant behind a picket fence. A legitimate funding source provides the money to the party, and the developer pays the legitimate source the same amount. The point is that in order to survive any politician needs to do favours for the monied before the pennyless. A politician who is too altruistic will not survive in office. The Liberals believe a Bank is a better friend to have then a bunch of people hurt by a bank. The property industry is a better friend to have than a bunch of first home buyers. In fact home owners are a better support group than first home buyers. Nobody says so, but the best thing for first home buyers would be if real estate prices were to fall. That would piss off home owners but make friends of first home buyers. Which group will be the best bet for survival? Obviously the bigger chunk of people who own a home. Some governments down the ages made appointments to government for life. Good and bad. The bad is that if you know you are never going to be thrown out, you can do what you want. Implement policies an elected representative would never consider. Rip off as many people as you can, with no fear of retribution. Of course that makes your food taster unlikely to get life insurance. The good is that you do not spend all your waking hours thinking about survival. You can make the right, if unpopular, decision. The shorter the elected term, the more focused the elected representative has to be on the next election. For example if they were once every ten years, many politicians would make conscious decisions for the first six or seven years without worrying about getting re-elected. If it was every year, God help us. Election mode from day one. The US President limitation of two four year terms has some value. Look at the decisions Obama made in the last year. There was no need to pursue survival. He just did what he thought was right. The downside of course is that a candidate who learns and improves in office, may have their best years ahead when their term expires. Is there an answer to the question of survival? I doubt it. The human brain is infinitely adaptable. Come up with any solution, and someone will find a loophole. The Romans had positions such as Consul where you could only serve for a year. There is some merit in that, but it evolved into Consuls being reappointed. Human ingenuity found a way around the limitation. If we are to make the best long term decisions for the country, perhaps we should take power away from the politicians. Let someone else make the decisions they will never take because it threatens their survival. Let me give an example – the Reserve Bank. Who would you rather have making decisions on interest rates? A politician with one eye on the next election, or experts who are independent of government? Perhaps we should have more organisations like this. Give back responsibility to the Public Service. A charter tells the independent body what they are expected to achieve. The independent body decides how the money is spent without having to think about electorates, or re-election. Here is one example. Have an independent body be responsible for managing unemployment. Everything from benefits to getting people into work. The government gives them a budget and lets them get on with it. They have a charter just as the Reserve Bank does, and manage to that charter. If the cannot deliver to community expectations, and the system is well run, it becomes a question of the government giving more money. The community decides that better services are needed, and the government has the responsibility of finding the funding. Either raise taxes or take money from some other imitative. You could do the same with medical services and education. 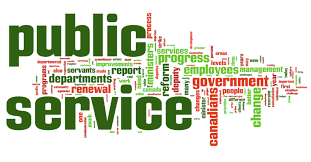 Maybe the government cannot give up defence or taxation, but many areas of government would run better if they were left to the Public Service. Not the traditional bureaucracy but a more modern approach. One based on achievement rather than a job for life. I am not talking about privatisation. Once a profit motive creeps in, the business is run for shareholders, not the public. I am talking about independent public bodies who can take a decade long view on their services. Politicians in Australia take a three year view. All we can do is be aware that politicians are about survival. Doing what is popular in order to gain the most votes and win the next election. Don’t expect them to take the hard decisions when it will loose them votes. Maybe we have to go full circle and go back to the concept of a Public Service that are truly empowered to do their job independently of politics.